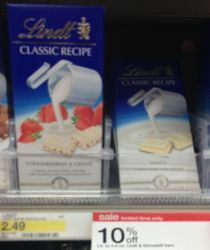 $2/1 Lindt Coupon has RESET!! Great news! 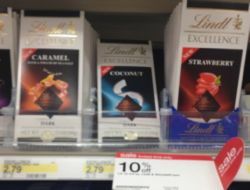 The high value $2/1 Lindt product printable coupon has RESET, so if you printed it before you should be able to print it again. You can pick up the following deals at Target. I am pretty sure we should see these go on sale for $2 sometime, so they could eventually be FREE!